Wonderful Pinewood Manor neighborhood, perfect 3 bedroom, 1 3/4 bath cape with beautiful bamboo and oak floors, you'll fall in love with the upgraded kitchen with granite and decorative tile backsplash, stainless appliances, breakfast bar opens to dining area with slider to back deck, sunny great room with built-ins and cabinets, lots of windows, and wood burning fireplace. First floor bedroom could easily be office or den, second floor has two sunny, spacious bedrooms with extra closets, upgraded full bath and large storage area. Walkout basement ready to be finished. Mudroom allows for all the winter and sports activities, wonderful private lot with brick and stone walkways, shed stays, association pool, walking trails. 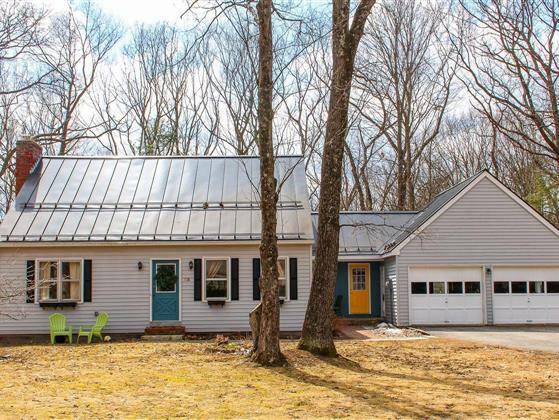 Minutes to I-289, Lang Farm, easy access to UVM Medical Center and Burlington.